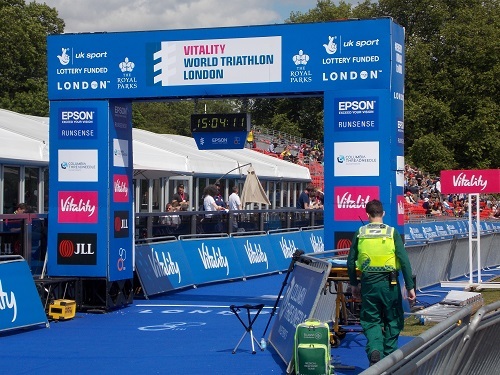 The Vitality World Triathlon London is one of the world’s leading triathlon events and one of only two legacy events from the 2012 Olympic games still open to public participation. 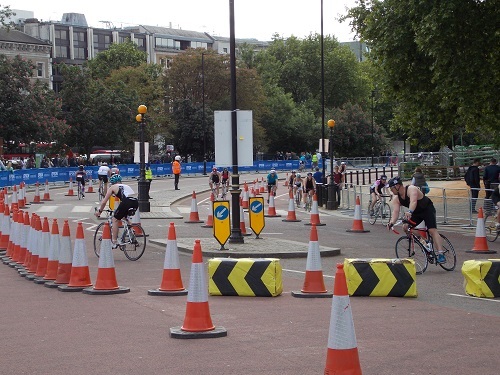 On the first day of the event, it was the turn of the non elite athletes from all around the world to swim, bike and run on the iconic Hyde Park course in pursuit of their own personal glory. Distances start from Tri It (400m swim, 15km bike, 2.5km run) and go all the way up to Olympic (1.5km swim, 40km bike, 10km run), meaning that individuals of all fitness levels can take part and challenge themselves on the course before crossing the finish line in front of a packed grandstand. 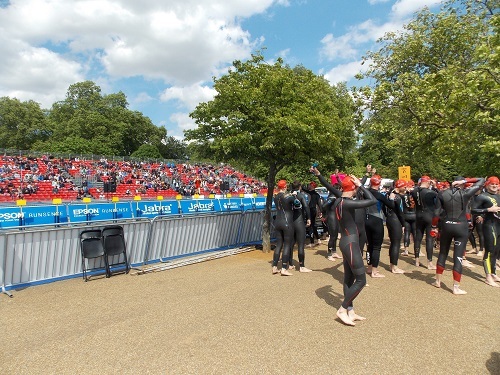 The swim is in the Serpentine in the middle of Hyde Park before the bike ride and the run, with so many athletes taking part it is a bit of a logistics nightmare but to the credit of the organisers and volunteers all seem to go smoothly. 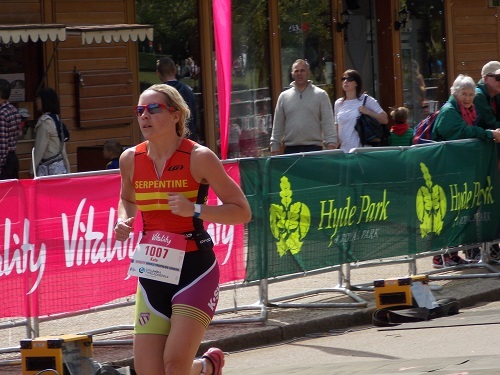 With the up to 5000 participants being supported by family and friends adding to the large crowd , the first day of the event was well supported all over the park . 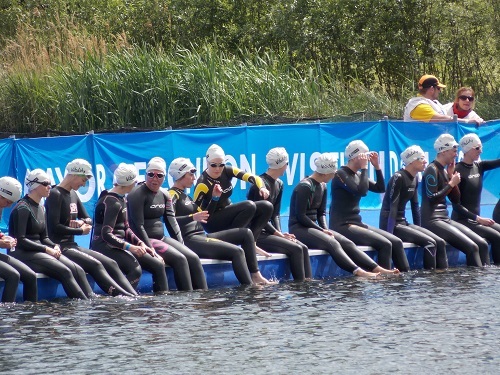 There are many vantage spots for spectators to watch the action around the course which are free to use but if if you would like seats in the grandstand , tickets can be bought to secure the best seats. 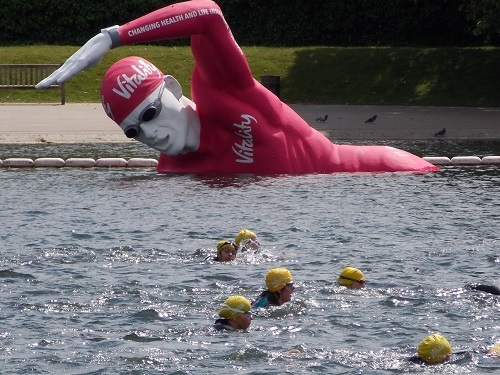 Tomorrow afternoon is when the world’s best triathletes go head to head in a ITU World Triathlon Series race on the London 2012 Olympic course in the heart of Hyde Park. 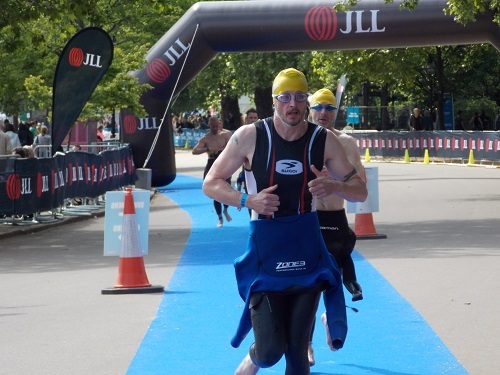 With Rio 2016 qualification points at stake and plenty of British interest with the Brownlee brothers, it’s represents a wonderful showcase of elite level triathlon racing. Since our launch , we have attracted thousands of readers each month, the site is constantly updated. By londonvisitors2014 in Sporting London on May 30, 2015 .